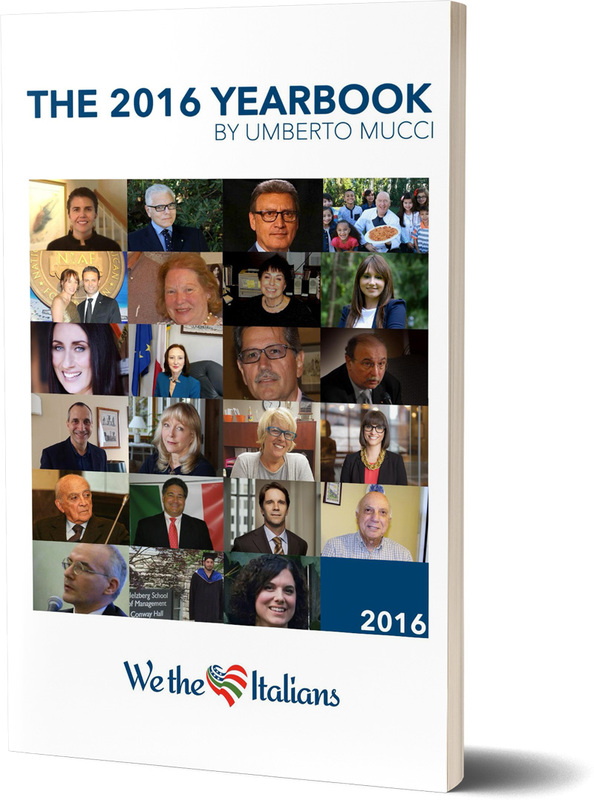 Welcome to the 2016 book of We the Italians! We the Italians is a network where everybody can share, promote, be informed and keep in touch with anything regarding Italy happening in the US. Our target is not only made by the Italian Americans, but by every American who like Italian people, food, art, culture, fashion, language, music, cinema, sport, business, creativity. We believe that the union between Italy and the US is really the perfect storm, and that is the reason why our name is an Italian tribute to the first three words of the American constitution. Our network is composed by a website, a magazine, a newsletter, an archive of Italian websites in the US and two books: all of them about Italy and/in the United States. 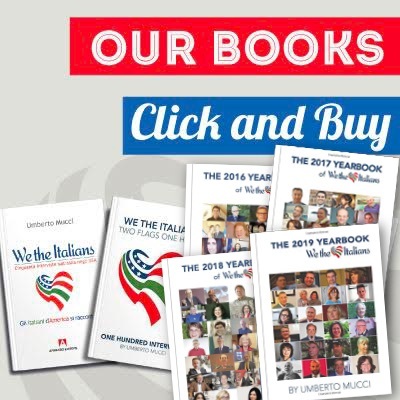 Last year we published a book with the most relevant interviews distributed on our website between 2012 and February 2016: "We the Italians. Two flags, One heart. One hundred interviews about Italy and the US". The book contains 100 different point of views about 100 different aspects regarding the relationship between Italy and the US. It was a big success, presented in more than 25 venues in the US. The book also has an Italian version, with 50 interviews, that has been presented in 10 venues in Italy, so far. We decided that from now on, at the beginning of every year we will publish a new volume containing the interviews realized in the previous year, both in English and in Italian. This is the first volume of this series, the one regarding the year 2016. We want to thank all the interviewees that made this possible. Also, we want to thank our readers and followers on the social media we are on. And last but not least, we want to thank all the people that works hard to build and grow this network. So stay tuned, fasten your seat belt and enjoy the ride. The future’s so bright, we gotta wear shades! 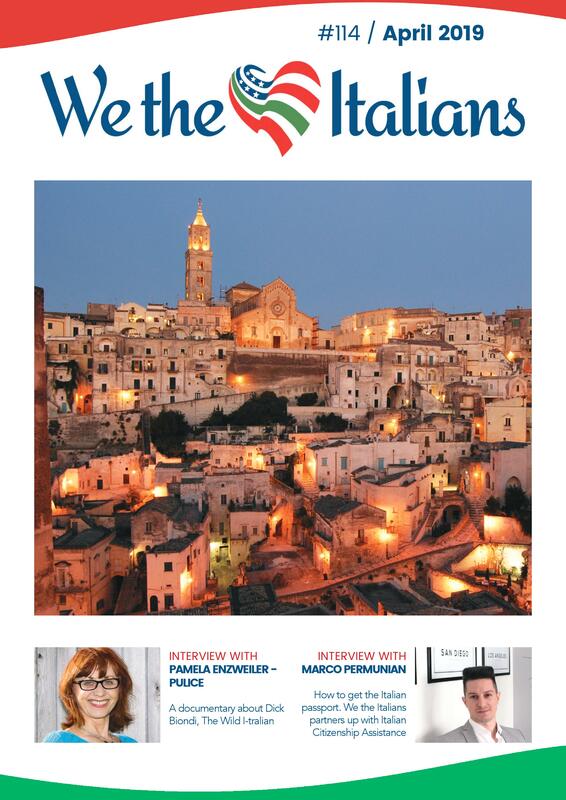 Benvenuti nel volume del 2016 di We the Italians! We the Italians è un ponte sull’oceano Atlantico, che lega già dal nome quanto di buono noi italiani abbiamo fatto e facciamo, con il tributo all’eccezionalità statunitense e alla frase simbolo della loro costituzione: We the People. Ogni volta che l’Italia unisce le proprie forze con l’America, il risultato è vincente. Anni di integrazione e contaminazione hanno provato che il genio italiano dotato di creatività e attitudine al lavoro duro trova uno straordinario e ineguagliabile additivo nell’ambiente meritocratico e business friendly degli Stati Uniti. Noi ci rivolgiamo a tutti coloro che sono negli Stati Uniti e amano l'Italia, e viceversa. Il nostro network è composto da un sito internet, un archivio su tutto ciò che rappresenta online l'Italia in America, un magazine, una newsletter e due libri: tutti i contenuti riguardano l'Italia e gli/negli Stati Uniti. Lo scorso anno abbiamo pubblicato il libro con le 100 più importanti interviste condotte dal 2012 al febbraio 2016: "We the Italians. Two flags, One heart. One hundred interviews about Italy and the US". Si tratta di 100 diversi punti di vista di 100 diversi aspetti del rapporto tra Italia e Stati Uniti. E' stato un grande successo, che abbiamo presentato in più di 25 occasioni in America. Il libro ha anche una versione italiana, con 50 intervistati, presentati finora in 10 diversi eventi in Italia. Abbiamo deciso che da ora in poi, all'inizio di ogni anno pubblicheremo un nuovo volume con le interviste realizzate nel corso dell'anno appena concluso, in entrambe le lingue. Questo è il primo della serie, e riguarda il 2016. Vogliamo ringraziare tutti gli intervistati presenti in questo volume, i nostri lettori che ci seguono sul sito e sui principali social media, e tutti coloro che con il loro contributo hanno respo possibile costruire e rafforzare questo network. Rimanete in contatto, allacciate le cinture di sicurezza e godetevi il viaggio. Il futuro è così luminoso che servono gli occhiali da sole!